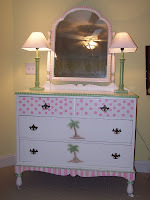 This is another piece of furniture that I jazzed up! 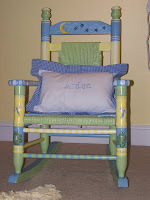 This rocker came from Cracker Barrel. I jazzed it up just bit! This is a really neat room. 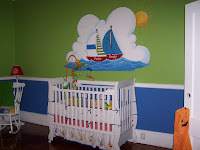 I love the nautical colors. 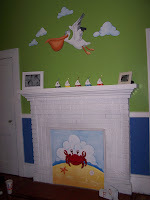 Also, notice the fireplace, I painted the crab on a piece of plywood. Great idea for a fireplace that is not being used. I decided to finally add some of my pictures to my blog. I know it has been a while since I have added anything. My computer was down for a while. But, I'm Back!! hope you enjoy my latest pics. Thought the teens and tweens would love the photo below. 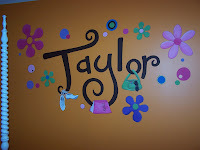 This is what I have been doing in a lot of tween/teen rooms lately.